The Beauty of Life: Beauty Question: Do You Prefer Lip Balm in Pot or Stick Form? 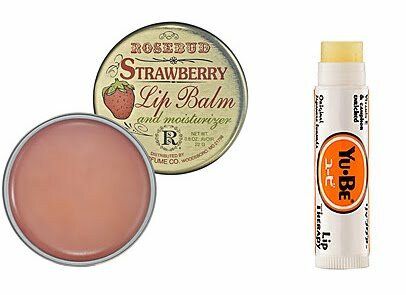 Beauty Question: Do You Prefer Lip Balm in Pot or Stick Form? I find that some beauty situations really make people have a strong opinion. The question of lip balm in stick versus pot form is one of them. While some prefer to slick it on from a tube or stick, others really want to dip their fingers into a pot and rub across their pout. I, for one, actually like both -- and sometimes I find that balms from pots are much more moisturizing and nourishing than those from sticks. But I'm curious to hear what you think, fellow beauty chicks. Let me know your thoughts in the comments! I actually love lip balms in pots. I'm not sure why though.